The St Colman’s Society for Catholic Liturgy has sent us the following press release concerning the recent presentation at the Basilica of St Clement in Rome of the Proceedings of the Sixth Fota International Liturgy Conference. The conference was was held in Cork, Ireland from July 6-8, 2013, to mark the 50th anniversary of the promulgation of Sacrosanctum Concilium, the Second Vatican Council’s Constitution on the Sacred Liturgy. The text was presented by His Eminence Raymond Cardinal Burke, who had a number of very interesting things to say about the implementation of the Constitution; the full text of his presentation is given below. The Proceedings of the Sixth Fota International Liturgy Conference were launched by His Eminence Raymond Leo Cardinal Burke at the Collegio di San Clemente in Rome on Wednesday evening, 28 October 2015. 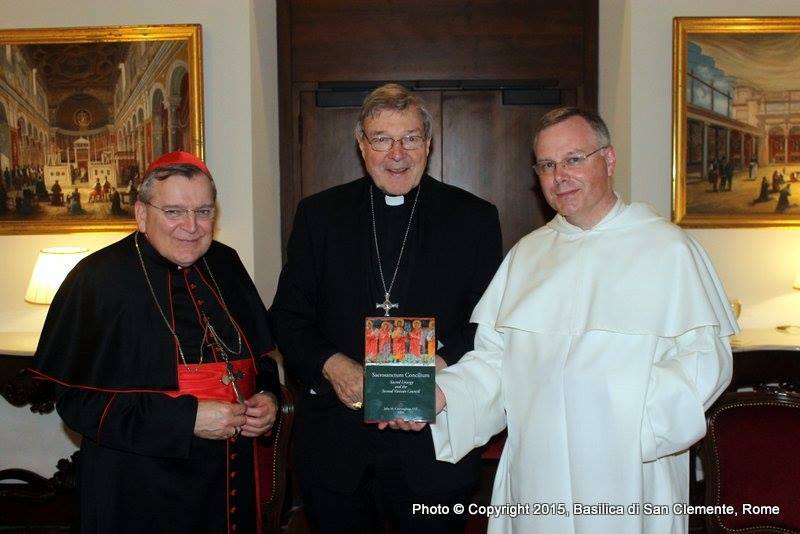 The event was introduced and chaired by His Eminence George Cardinal Pell. An overview of the work of the Fota Conference was presented by Mons. James O’Brien. He noted that the objective of the conference was to promote the liturgical vision of Pope Benedict XVI through its annual gathering and through the publication of the acta of the conference as well as through other studies published through Smenos Publications (www.smenospublications.com). He thanked the editor of the sixth volume in the Fota series, Fr. John Cunningham, OP, prior of San Clemente and professor at the Angelicum for having agreed to act as editor and for the competence with which he carried out his task despite simultaneous work on three other publications. 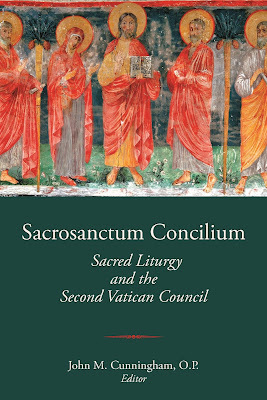 Sacrosanctum Concilium: The Sacred Liturgy and the Second Vatican Council was envisaged as a commemorative volume to mark the 50th anniversary of the publication of the conciliar constitution on the Sacred Liturgy. Through a range of subjects, it seeks to demonstrate how the hermeneutic of continuity operates in the interpretation of this important document – especially by setting it in its historical and theological context which includes the pre-conciliar magisterium, especially of Popes Pius XII and Pius X and the Council of Trent. Moreover, that same context includes the post conciliar applicative instructions issued by the Holy See and the magisterium of Popes John Paul II and Benedict XVI. Fr. 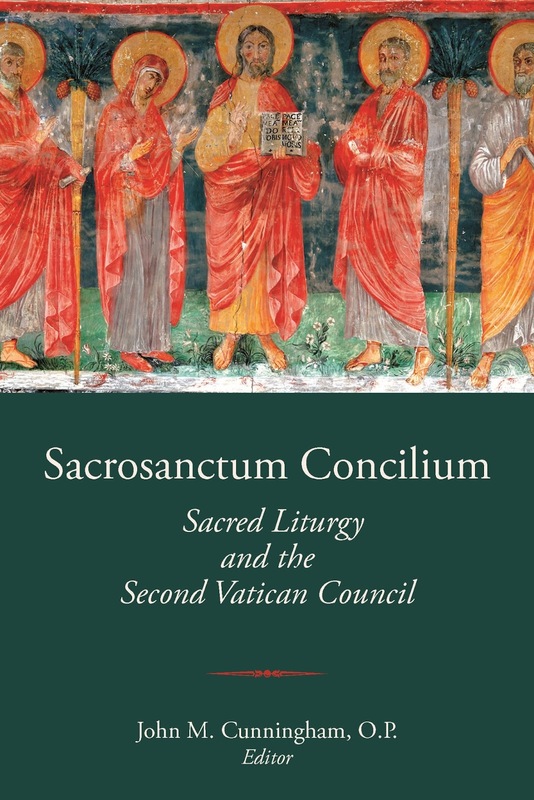 John Cunningham, OP, referred to the extensive range of topics covered in the collection of essays which makes up the volume Sacrosanctum Concilium: The Sacred Liturgy and the Second Vatican Council. He made particular reference to the assistance the book provided to students of both liturgy and theology through its scholarly critical apparatus which gave ample research opportunities. The editor expressed the wish that the book would be widely read by all who seek to promote the Sacred Liturgy rather than remain an unread classic. Cardinal Burke’s ample presentation of the Fota VI volume paid particular attention to the objectives of the council Fathers in drawing up Sacrosanctum Concilium and the manner in which they envisaged their task of renewing the Sacred Liturgy in harmony and continuity with the received teaching and practice of the Church. He spoke also of the ecclesial and social context of the early 1960s in which Sacrosanctum Concilium was published and implemented. The Cardinal then turned to the difficulties encountered in attempting to give faithful execution to the constitution’s objectives, and pointed to the abuses of interpretation and application often encountered in the liturgical reform of the 1970s as well as to the critique of some interpretations of the constitution cogently made in the writings of Joseph Ratzinger/Pope Benedict XVI as well as to his call for a recovery of an hermeneutic of continuity in order rightly to understand the conciliar constitution and apply it faithfully. He then gave a short synopsis of the various contributions (see attached text). H.E. Raymond Cardinal Burke, H.E. George Cardinal Pell, and Fr John Cunningham O.P. Cardinal Pell closed the proceedings and thanked Fr. John Cunningham for his valuable editorial work and for having brought the volume to a successful conclusion. Copies of the book are available at pre-publication discount from www.smenospublications.com. Sacrosanctum Concilium: Sacred Liturgy and the Second Vatican Council contains the Proceedings of the Sixth Fota International Liturgical Conference, held at Cork City in Ireland in early July of 2013. The annual conference in 2013 was devoted to the commemoration of the 50th anniversary of the promulgation of the Constitution on the Sacred Liturgy, Sacrosanctum Concilium, of the Second Vatican Ecumenical Council on December 3, 1963. The eleven essays which comprise the volume not only treat the contents of this important document on the highest and most perfect expression of the Christian life, the Sacred Liturgy, but they also seek to recover the true nature of the reform which the Council Fathers intended and to implement it in fidelity to the teaching, not the so-called “spirit,” of the Council. The liturgical theology of Joseph Ratzinger which inspired the inauguration of the Fota International Liturgical Conference clearly points the way to the recovery of the reform desired by the Council. There is no doubt that, at the time of the post-Conciliar reform of the Sacred Liturgy, in many placesthere was a lack of liturgical discipline, and many abuses were introduced which led the faithful to believe that the Church had abandoned her theocentric liturgical tradition and embraced a totally new anthropocentric approach. From my own experience, as a seminarian during the years of the implementation of the reform mandated by the Council, I, too, can say that the infidelity to the reform gave place to liturgical aberrations which were indeed difficult to bear and were profoundly harmful to the Catholic faith and its practice. There is no contradiction between the two editions of the Roman Missal. In the history of the liturgy there is growth and progress, but no rupture. What earlier generations held as sacred, remains sacred and great for us too, and it cannot be all of a sudden entirely forbidden or even considered harmful. It behooves all of us to preserve the riches which have developed in the Church’s faith and prayer, and to give them their proper place. According to the mind of Pope Benedict XVI, the reform desired by the Fathers of the Second Vatican Ecumenical Council will be carried out in fidelity to the Tradition through the faithful application of the juridical norms contained in Universae Ecclesiae and through their development and perfection over time. What was the cause of such a radical, even violent, approach to liturgical reform? It was the sense that what had gone before the Second Vatican Council had been a gradual corruption of the purity of the Church in the first centuries of her existence. A predominantly anthropocentric understanding of the life of the Church failed to take account of the work of the Holy Spirit, throughout the Christian centuries, assisting the Church to deepen her understanding of the Mystery of Faith. At the same time, there was the sense that the Church is the creation of man, subject to even substantial alteration according to the changes of the times. What Pope Benedict XVI has described as the battle between the hermeneutic of discontinuity and rupture, and the hermeneutic of reform in continuity ensued. In other words, the liturgical reform was viewed as the repudiation of centuries of liturgical practice, in order to establish a new practice which was said to recapture the purity of the practice of the early Church. What the Conciliar teaching requested, however, was a reform within the unbroken continuity of the Tradition. The nature of a Council as such is therefore basically misunderstood. In this way, it is considered as a sort of constituent that eliminates an old constitution and creates a new one. However, the Constituent Assembly needs a mandatory and then confirmation by the mandatory, in other words, the people the constitution must serve. The Fathers had no such mandate and no one had ever given them one; nor could anyone have given them one because the essential constitution of the Church comes from the Lord and was given to us so that we might attain eternal life and, starting from this perspective, be able to illuminate life in time and time itself. In the years following the Second Vatican Ecumenical Council, the hermeneutic of discontinuity and rupture was manifested, in a most striking way, in the betrayal of the liturgical reform ordered by the Council by means of a manipulation of the divine action of the liturgy to express the individual personality of the celebrant and of the congregation, and even to advance various human agenda, completely alien to the divine action of the Sacred Liturgy. The presentations given during the Sixth Fota International Liturgical Conference address various elements of the Sacred Liturgy with a view, illustrating both the continuity of Sacred Worship as it has come to us from Our Lord Himself through the Apostolic Ministry and the richness of liturgical reform throughout the Christian centuries. Professor Robert L. Fastiggi treats the Holy Mass as Sacrifice, according to the teaching of the Second Vatican Council, in order to address a false perception of the post-Conciliar reform whichconsidered the Holy Eucharist as a meal exclusively, that is, without consideration of the source of the Heavenly Bread: Christ’s rendering sacramentally present His Sacrifice on Calvary. Professor Fastiggi relates the accurate understanding of the teaching on the Holy Eucharist as Sacrifice to the correct understanding of “full, active, and conscious participation of the faithful in the Eucharist.” Later in the volume, Father Paul Gunter, O.S.B., provides an in-depth treatment of the question of active participation in the Sacred Liturgy on the part of the faithful. Fifty years after the promulgation of the Constitution on the Sacred Liturgy, it is important to view the reform of the sacred liturgy in the light of Sacrosanctum Concilium considered in the context of the entire Tradition of the Church. In this way, it will be seen that it is not possible for man to orchestrate ‘the full, conscious and active participation of the people of God.’ Certainly, much can be done to promote such participation but it is ultimately a task beyond man’s own abilities. Professor Hoping, in particular, treats the fundamental interpretative key of Sacrosanctum Concilium. He addresses both the light and the shadow found in the interpretation of the Conciliar text in terms of the true nature of Sacred Worship as a divine action, the action of the glorious Christ, seated at the right hand of the Father, who never ceases to dwell with us in His Mystical Body. Professor Carmina Chapp reflects on the fundamentally apostolic significance of the Sacred Liturgy in the life of the Church. Rightly, as she observes, the Council first took up the reform of the Sacred Liturgy because it is only from the encounter with Christ in worship that every other aspect of the Church’s life receives its inspiration, direction, and strength. Father Sven Leo Conrad, F.S.S.P., presents the theology of the Extraordinary Form of the Roman Rite in the light of the teaching of the Second Vatican Council. The nucleus of the theology is the self-gift of Christ. It has a particular significance for the action of the priest in the Sacred Liturgy by which sacred worship retains its proper identity. It is my hope that this brief presentation has uncovered a bit the important service which the studies contained in Sacrosanctum Concilium: Sacred Liturgy and the Second Vatican Council provide to the Church. I also hope that it has indicated, even if very succinctly, the depth and richness of that contribution.